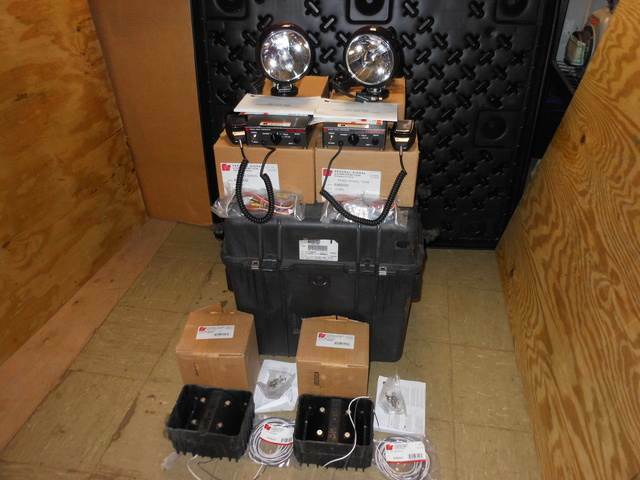 Extra information Seller Comments: Original Packaging, Pelican 0350 Carrying Case, (2) Federal Signal AS124 Speakers, (2) Federal Signal PA300 Amplifiers/Microphones model 690000 w/ Mounting & Wire Harness Kits, (2) Federal Signal Speaker Wire Kits, (2) Magnalight HML-5M Spotlights. to see more information. Mascus Canada hosts an array of the most prolific Equipment Auctioneers in North America. If the opening bidding price is not shown for this - [Other] Military Federal Signal Siren P/A & Spotlight Traf other located in - United States do not hesitate to contact the equipment auction house directly on the above listed telephone number. Tell them you found this other on MASCUS CANADA! !